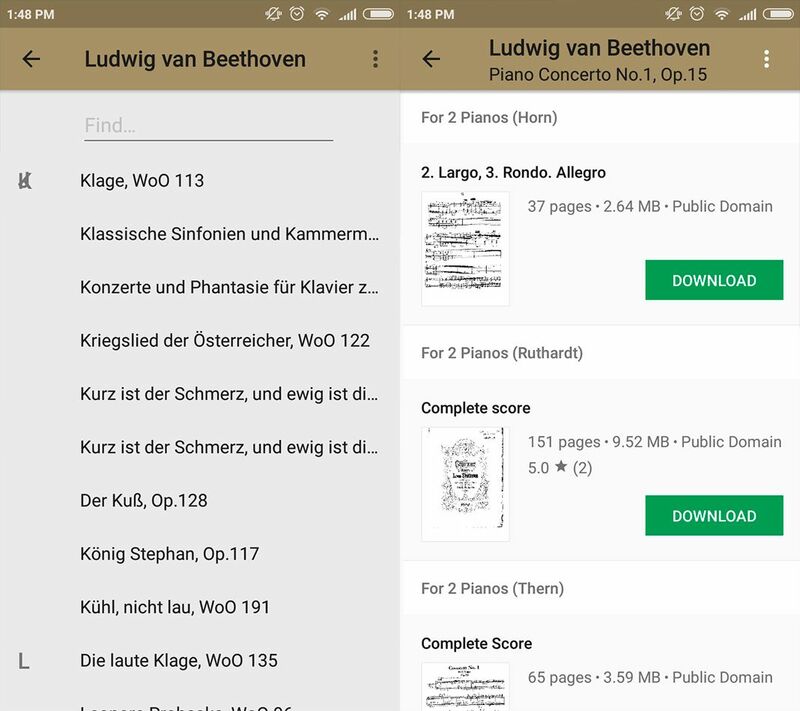 Scorefolder is a classical sheet music downloading tool that utilizes the enormous database of the Petrucci Music Library. The International Music Score Library Project (IMSLP), a.k.a. the Petrucci Music Library, is a great project that’s dedicated to collecting classical music scores for all the world to use. This wiki has already compiled more than 16,000 composers and offers access to more than 400,000 different scores. 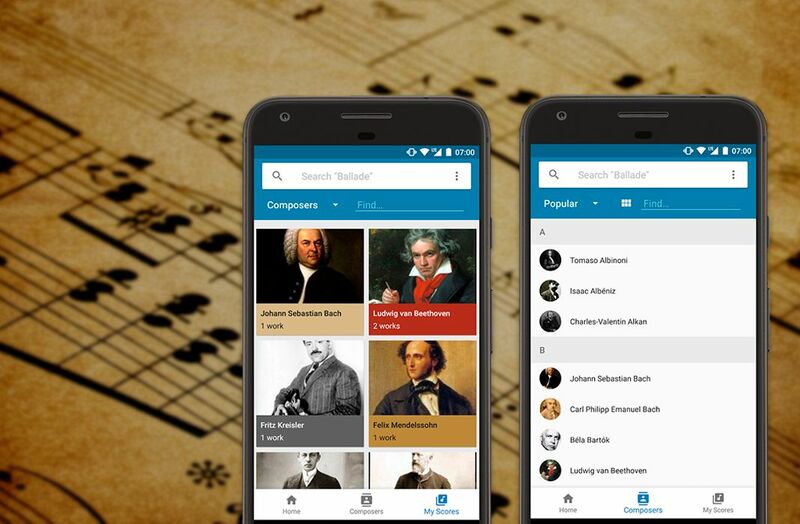 Best of all, you can access all of them comfortably from your smartphone thanks to Scorefolder, an app that lets you download free sheet music for all the classical works you want. Piano Sonata n.º 11 by Mozart. Spring by Vivaldi. The Brandenburg Concertos by Bach. These are just a few of the world-famous works available in the vast Scorefolder library. 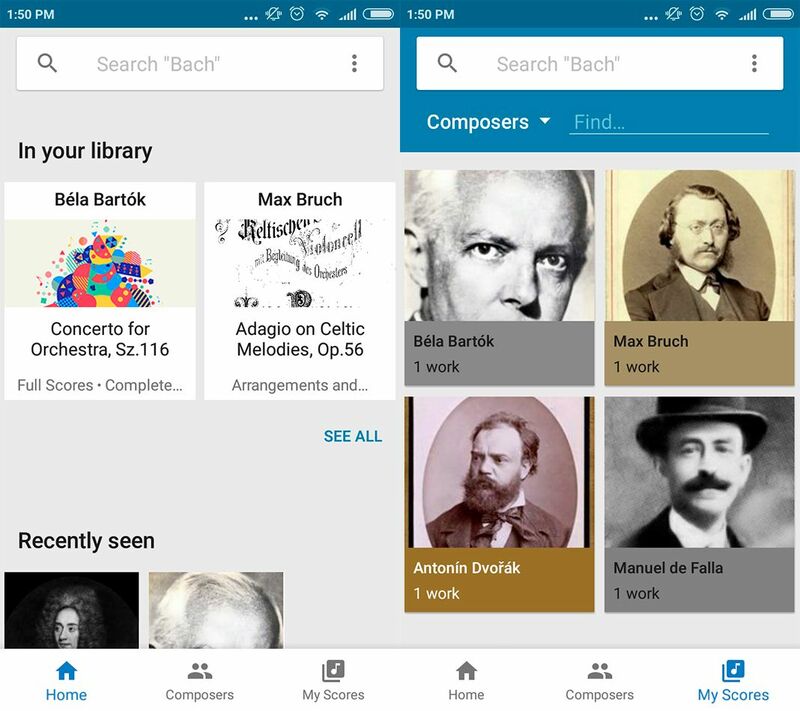 This app is extremely useful for downloading sheet music for works we’re already familiar with, but it’s also as an interesting tool to discover new composers and their works. 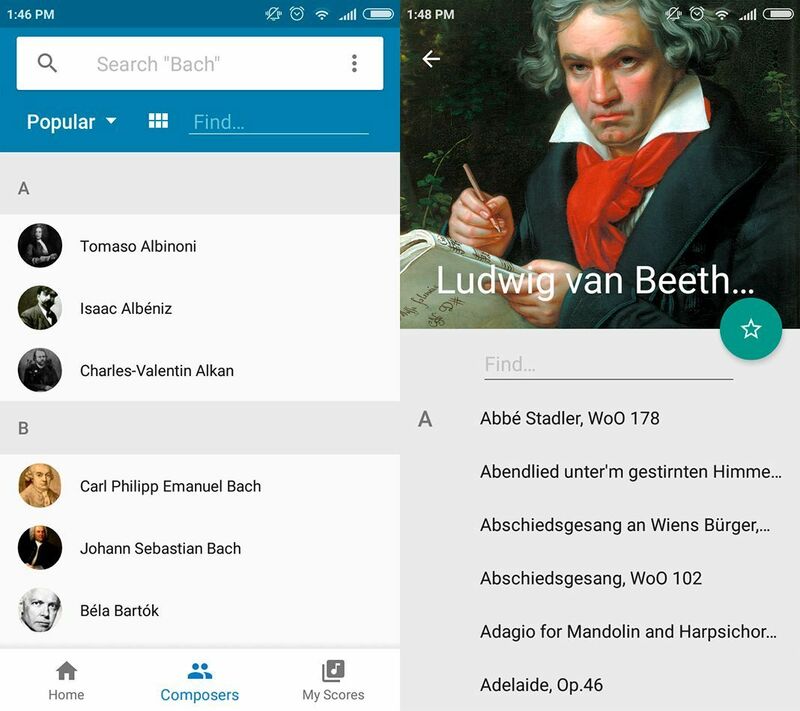 And it’s all wrapped up in an intuitive Material Design interface that makes it easy for anyone to use the app. Scorefolder offers an extremely useful search feature that makes it a piece of cake to find the composers and works you’re looking for. After choosing one of the many names that appear in its database, you get access to an extensive catalog of compositions that you can download for free by simply tapping the green download button that appears next to each piece. This way, you’ll download a PDF that will be saved to your device so you don’t need an internet connection when you go to use it. Plus, each work comes with a few necessary pieces of information: number of pages, file size, and a rating by users. This last one is especially useful if you come across a lot of results for the same search and you’re not sure which one is the best.